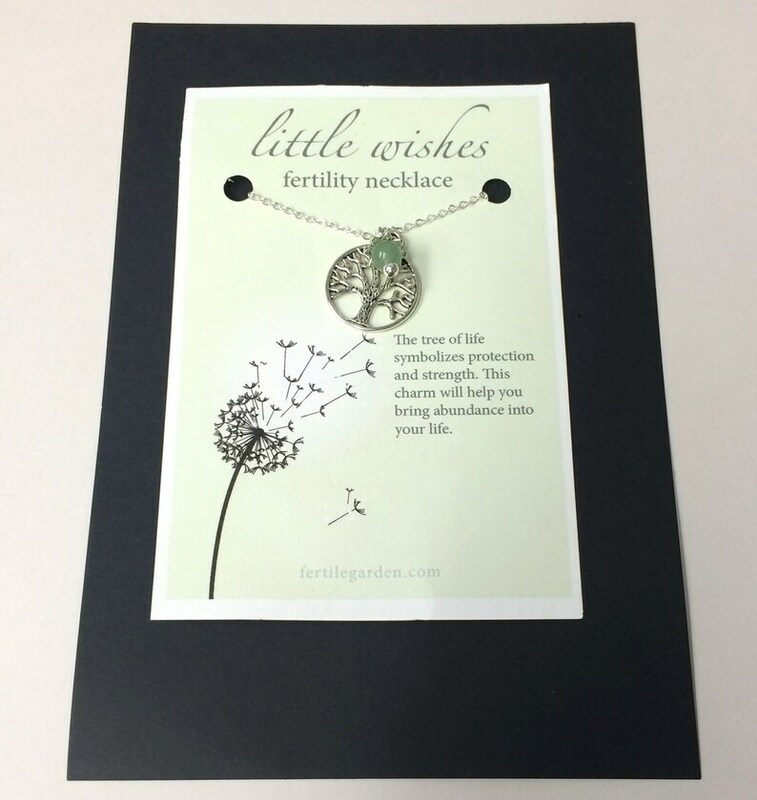 Fertility Necklace, ready to ship for the holidays and the perfect gift under $20, which includes shipping! This fertility necklace is the perfect gift for a trying to conceive friend, new bride, loved one, or a treat for yourself. Encourage positivity within yourself and enhance fertility while wearing this Tree of Life fertility necklace! Choose your own personal gemstone boost! Necklace is shown with a green aventurine gemstone dangle. The Tree of Life symbolizes protection, strength and abundance. Book of Genesis, Proverbs 3:18. "She is a tree of life to those who lay hold of her; those who hold her fast are called blessed.” This cycle of unfailing renewal has been seen as a symbol of fertility.